Despite what you may have heard, it turns out that there won't be a demo for the PC version of Fable III. On May 10, Major Nelson revealed in the latest Xbox Live Markeplace release schedule that a demo for the PC edition of Fable III would be released next week alongside the full version of the game. It was welcome news, although not terribly surprising given that a demo for the Xbox 360 version has been around since the game launched last year, but it was also short-lived; soon after the post went up, the Major made a slight correction, writing, "I've been informed that a Fable III PC demo is no longer scheduled." Fair enough, albeit it a bit odd, but things didn't get really confusing until IncGamers contacted Lionhead to inquire about the situation. A studio rep told the site that a demo for the PC had never been planned in the first place and that there was obviously a "misunderstanding." I'm not entirely sure how such a misunderstanding could happen, given that all roads in this case lead to Microsoft, and I'm having a hard time fathoming why the company would pass on a PC demo. Fable is a big franchise on the Xbox 360 but it's been six years since the original game was released on the PC, which for all practical purposes makes Fable III a brand-new, stand-alone title. A demo would go a long way toward convincing gamers to lay down their money. But the bottom line is that it's not happening; if you want to play Fable III on the PC, you're going to have to roll the dice and hope for the best. 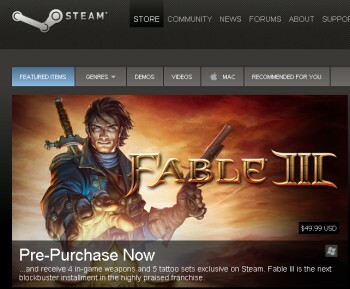 The PC version of Fable III comes out on May 17.